Please note that I am currently on Maternity leave and not taking appointments, however please feel free to drop me a line if you have any queries and I will do my best to point you in the direction of the next most suitable therapist. If you would like to be among the first to know when appointments become available, subscribe to the newsletter or Facebook Page for updates. We have recently welcomed our second baby boy into the family! A big thank you to everyone for the heartwarming messages of support and encouragement. 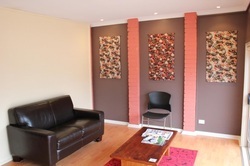 Jennifer Mc Keown is registered Acupuncturist and Remedial Massage (Tui Na) Therapist. She is registered with AHPRA (Australian Health Practitioner Regulation Agency, formerly the CMRB)and AACMA (Australian Acupuncture and Chinese Medicine Association). She has completed a Bachelor of Health Science Degree in Acupuncture and a Diploma in TCM Remedial Massage (Tui Na), as well as a China-based internship in Acupuncture, Tui Na and Internal Medicine. 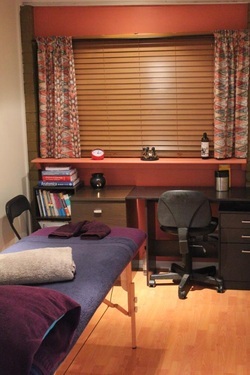 Her treatments combine Acupuncture and remedial massage techniques with traditional Chinese therapies, such as cupping, Gua Sha (scraping), moxibustion, exercise therapy, dietary therapy and lifestyle advice as required. She also provides symptomatic relief to victims of stroke, cranial bleeds, cerebral palsy and bed/chair bound patients, and is always keen to take on a challenging case.